Anticipation over the release of Sassicaia’s 2016 vintage has caused a flutter of activity on the Liv-ex Exchange, with prices quickly shooting upwards. The Super Tuscan’s UK agent, Armit Wines, invited clients to register their interest in the wines from Tenuta San Guido this week – including Sassicaia, and the 2017 vintages of Guidalberto and Le Difese. Excellent as the other labels are, all eyes were naturally on the Sassicaia which has followed up what was a brilliant 2015 (across Bolgheri) with an equally strong 2016. The Wine Advocate’s Monica Larner gave the wine 100-points saying it “stands tall next to the epic 1985 vintage that set the ultimate benchmark for vino italiano”. Fellow America James Suckling meanwhile gave it a 97-98 point spread while praising its “seamless texture and great composure”. As well as the early critical praise, spicing things up further was the price. Offered at £635 per six so £1,270 per dozen it is one of the cheapest vintages available from the last 10 years and it has the best WA score of the last 10 years as well. Bids and offers on Liv-ex rapidly began to hit prices in excess of £2,000. At a peak an offer even appeared for £1,350 for six – which was accepted. Like all flutters such activity was brief and prices have settled back a little since then but speaking to the drinks business, Liv-ex co-director Justin Gibbs said it is there for a reason – the market is excited about the 2016 Super Tuscans. Tignanello was another label he said there seemed to be some excitement about as well. As with Bordeaux labels or non-claret ‘first growths’ like Opus One, Gibbs added that the Super Tuscans tended to work because they were “strong brands with decent production”. 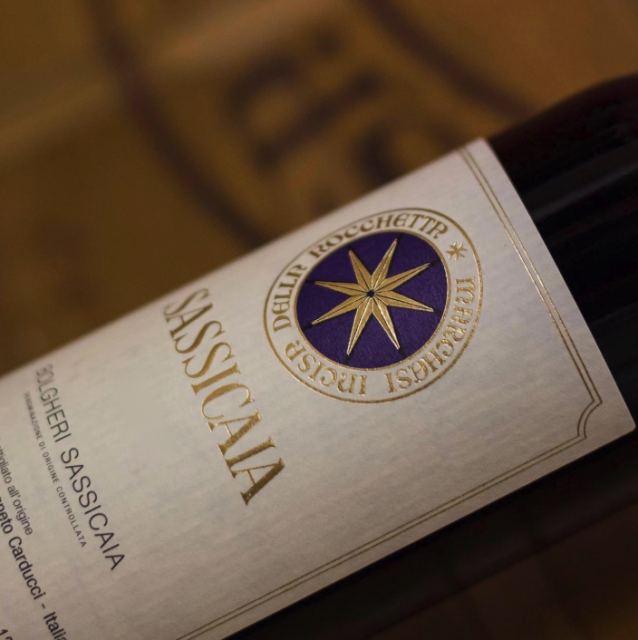 For Sassicaia, the 100 WA points, the reference to the famous 1985, its relative value, the limited amount of stock available both due to the fact that most countries haven’t received their allocations yet and because a short 2017 vintage has prompted rumours the estate is holding some stock back this year have all combined to create a brief but furious little storm.